Alex Ferguson famously wrote that “sport science was the biggest and most important change in my lifetime”. Sport science is now at the heart of elite football. Gareth Southgate’s appointment as England Manager has seen a shift in the approach to building a ‘performance programme’ akin to the marginal gains mantra that developed over multiple Olympic cycles by British Cycling. Coaches such as Guardiola, Klopp and Howe have sport science teams working across every area of player development, recruitment and performance. Much like British Cycling, these new performance led programmes offer sponsors opportunities to become part of the team, to support players, coaches and other staff in delivering part of the jigsaw required to compete at the highest levels. Integrating products, expertise and support within the club structure can add significant credibility sorely lacking in many traditional sponsorships. 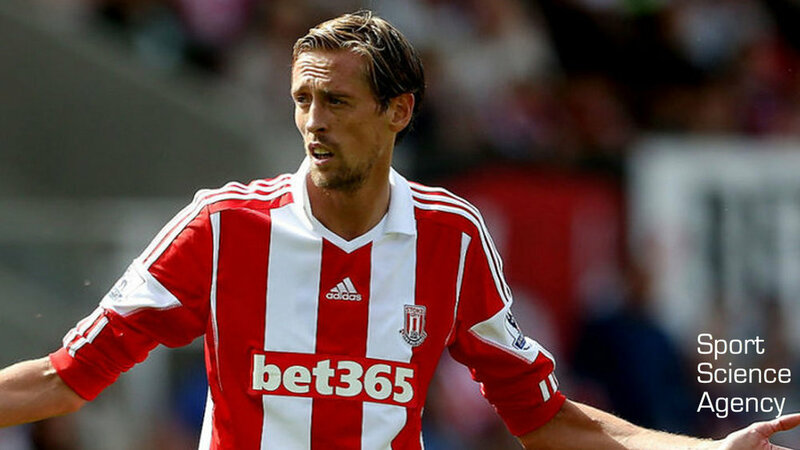 One example of the drive to professionalism mentioned during the Crouchy podcast was the change in nutrition, particularly the post-match meal. The team talk about the transition, with some nostalgia, from a few cans and stopping off for fish and chips to now, where the team bus is equipped with a kitchen and the team chef travels with the players to ensure the correct post-match nutritional balance. Mention is also made of the two-hour window. This is the period within which players will gain the most benefit from refuelling post-match. It is a story football nutritional sponsors have been trying to tell for some time with limited success. A number of clubs have nutritional partners. The model is now fairly standard across the game. Provide product and a rights fee and off they go. While the products are part of the performance story and the credibility of use is not in question, they still find cutting through to a football audience a hard sell. The nutrition category is one of the most interesting and should be one of the easiest to activate, yet success is limited. The football market is still dominated by Lucozade and to a lesser extent Gatorade. Both have tried to incorporate a wider nutritional product range. So far, both have struggled to leverage the UK’s biggest sporting market to make these new products a success. While nutritional supplementation is important and plays a key role in supporting performance, nutrition partners have the opportunity to go deeper and support performance over and above a well-stocked cupboard of products in the sport science office. They should be moving to offer clubs a full nutritional support package from the first team chef all the way down to parental support for youth team players. A few workshops and leaflets are just not good enough anymore. Obviously, there are considerations regarding continuity and control from the clubs point of view when relying on a sponsor to provide key staff or critical expertise. But Clubs should also be thinking about how their performance programmes can offer credible and integrated support to sponsors whilst still benefiting their performance goals. There are only so many ways a nutrition brand can recommend that you eat within two hours of exercise to maximise recovery. If it is at the heart of the players’ diet plans, recovery, preseason training and the bus ride home, then shifting its message to a more holistic and brand led story should have more resonance and impact with fans. Brands need to prove they share in the common goal of supporting the team. Modern fans, who want to feel part of the club and closer to the players, seek behind the scenes insight at every level, and will act on the knowledge they gain in their own lives. Clubs need to support their partners allowing them to become the conduit for fans to access this information, therefore presenting sponsors as a credible vehicle through which fans interact with the club. Sport Science Agency works with brands, broadcasters, rights holders and agencies to create insight, experiences and content from the latest sport science research. If you want to know more just drop us a note via info@sportscienceagency.com and we can arrange to go for a healthy performance boosting drink.